It has been a roller coaster of a week for Marcus Thornhill, family, and friends. Just over a week ago Marcus got a CT scan and MRI on his brain to determine if something was causing his shaking, lack of eye movement, and tiredness. Originally it showed nothing, but the Doctors called back to notify that there was a lesion found in the brain. Shortly after, he had to get emergency surgery to put a shunt to relieve the pressure on his brain and also conduct the biopsy. We received a call yesterday that was not good news, which is that the lesion is a high grade aggressive cancerous tumor that is inoperable. The next steps are to attack this tumor with radiation and chemotherapy over the several weeks ahead. Marcus has a birthday coming up shortly and a long road ahead, but one that we know GOD will deliver the strength to FIGHT this tumor and HEAL him. 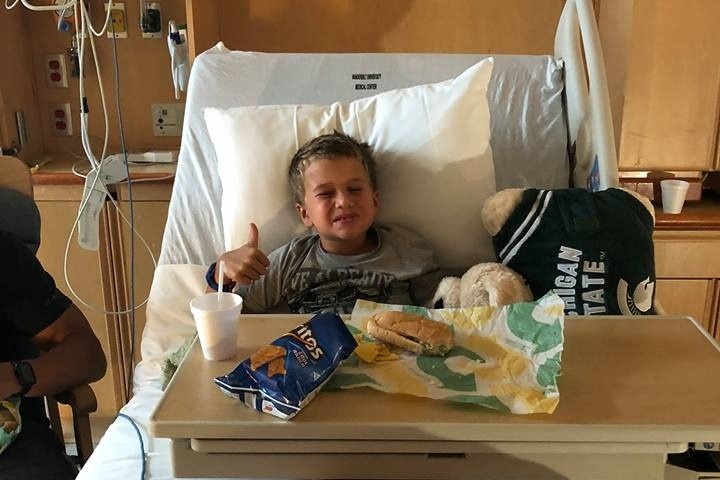 During this fight, the family will have to endure a lot of medical expenses/travel costs to and from the hospital/food costs of eating out/lack of income from work/and giving Marcus the items he will need to keep a SMILE on his face throughout the process. We have received tremendous support throughout this process and many people have been asking what you can do to help, please consider helping our family during this FIGHT against CANCER.